Crowdster - The original live music acoustic guitar. All acoustic guitar tones project via it's LR Baggs/Anderson-EQed piezo system. And of course a gorgeous maple or koa top. Crowdster Plus - Plus adds the ability to supplement Crowdster's gorgeous acoustic sound with thunderous electric guitar complements via its specially designed bridge electric guitar pickup. Crowdster Plus 2 - The ultimate live acoustic instrument has arrived as the Plus 2 brings even more versatility, adding a specially designed neck pickup to the regular Plus. Selectable electric guitar pickups that will bring it all to any arena, big or small. Crowdster Player - The minimalist player's guitar. Pure uncompromised Crowdster performance with no frills and no worries. 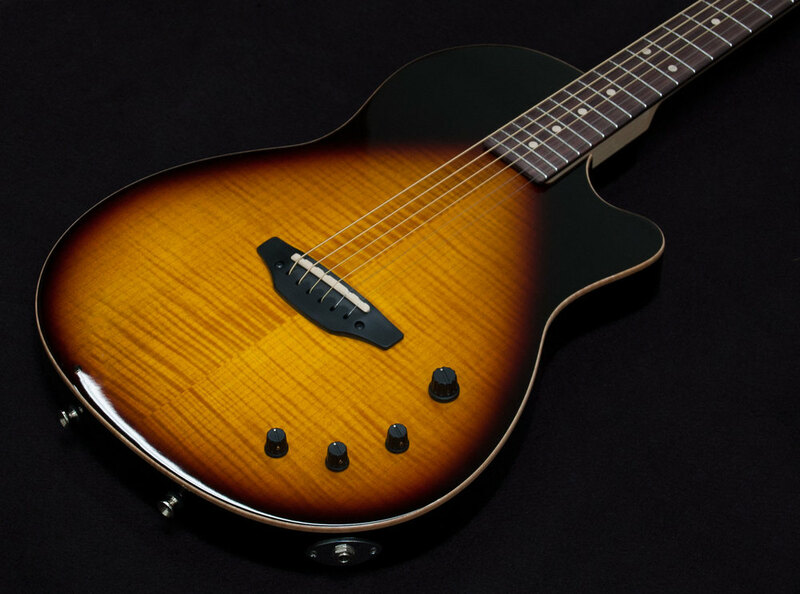 Featuring a slighlty lower grade maple top with several finishes to choose from.